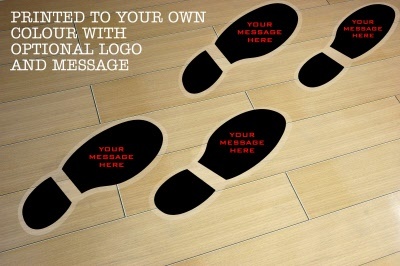 Top Selling Shoe Print Floor Sticker, for indoor use. 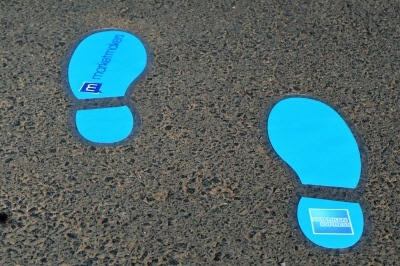 These Graphics are Ideal for advertising your products and directing foot traffic in a creative style. 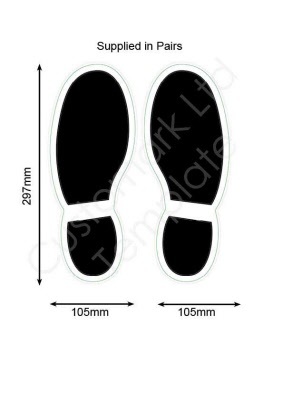 Product cut and printed to Shoe print shape.